Clients are now also leaving reviews at Google+. Please visit REVIEWS . If you are a client, please review our services. Click Here and then click on, “Write a Review”. 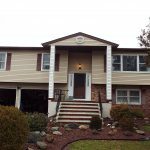 The reviews here are typical of the results of a home inspection conducted by Frank J. Delle Donne of Regal Home Inspections, LLC. These quotes are taken from a popular online service review website. 7/22/14 “Frank, from Regal Home Inspections, came to do a home inspection on the house I am trying to buy. 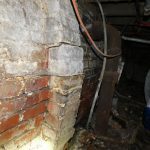 In addition, he also coordinated to get someone to do a termite inspection and based on the results of the home inspection, an additional mold inspection was performed by Frank. 7/8/14 “Frank from Regal Home Inspections completed a home inspection on the about 40 year old home I plan to purchase. 3/2014 “Frank was extremely professional, courteous, informative, knowledgeable, patient & friendly. Not only during the inspection (I tend to be overly inquisitive), but after when I continued to seek his guidance & recommendations for subsequent services (e.g. chimney, termite, structural, radon, etc). I cannot say enough, he truly went above & beyond. HIGHLY recommend Frank!” E.R. 3/17/2014 “I was not able to be present at the time of inspection but he was very trust worthy and I am glad with my decision of going with him. He was very helpful in the process of buying my condo.” D.T. 2/15/2014 “Frank was excellent! He is very professional and did an excellent job on our home inspection! He goes above and beyond to do all that he can to help you in the process. He also performed radon testing and even took lead paint samples for us. His inspection report was very detailed and thorough and included many photos. He always makes himself available for any questions you may have. I highly recommend him for a home inspection. You will not be disappointed!” M.M.